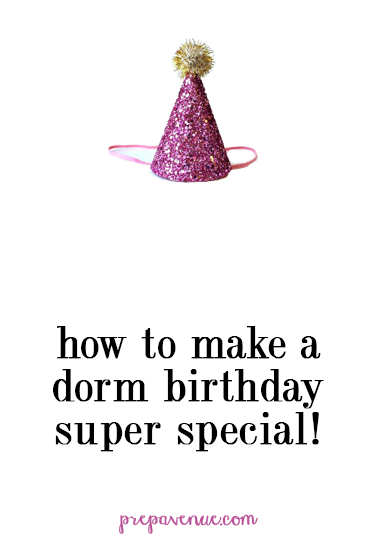 How to Make Dorm Birthdays Super Special! Birthday’s have always been a big deal in my house. My parents have always made them special for us in different ways. They always comes up with the best ways to make our special day perfect. One year in particular that I’ll always remember was my 16th birthday. I went to a pretty small school during my sophomore year on a military base on the east coast of NC and I was pretty good friends with most of my grade as well as my teachers. 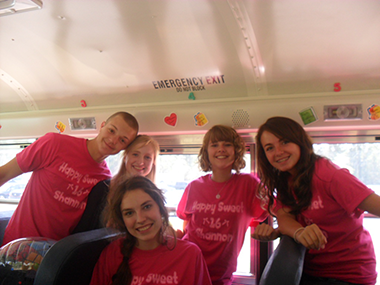 As a surprise my best friend D and my mom designed shirts online and ordered over 50 shirts that all said “Happy Sweet 16 Shannon.” When I got off the bus at school that day and I walked into the building my entire grade and my teachers were all wearing hot pink shirts all wishing me happy birthday! It was a day I’ll never forget. I still have one of the shirts! In high school, my friend group also kind of started the trend in my high school to decorate lockers on our friend’s birthday. We would wrap their lockers neatly in wrapping paper and add a big bow! We would also fill the inside with balloons and their favorite candy! It became a tradition and it was always fun to go in early and do it together! However, if you're in high school and try to do this, don’t forget to bring scissors and tape because we may have forgotten one time….tragedy. We have come up with some pretty creative things in the past year and half and I can’t wait to share with you how we manage to make dorm birthdays super special! Contact your schools acapella group // This year for my roommates birthday we talked to the all boys accapella group on campus that she loves and asked them if they would be willing to come sing to her at midnight! They willingly accepted our proposal right away and at midnight on her birthday we blindfolded Emilee and walked her out to the balcony at the end of our hall and they sang to her! She was shocked and couldn’t believe we pulled it off! Cover the outside of the door with construction paper // This is actually how I asked my function date to our function but it also is a great idea for birthdays! I used the big bulletin board paper that comes on big rolls and then used one big strip and painted on one side of it. Hang it so that the message is facing in so when they open the door in the morning they see your message and then have to break through the paper to get out! Order a cookie cake! // We almost always have a big cake or cookie cake ordered from our grocery store with a message on it and then have a big party with our hall mates and friends on the hall! Make sure you think in advance to get paper plates, napkins, and silverware! Post-it notes on their doors // Something fun my hall has done before is to cover that girls door with happy birthday notes on post-its from everyone! It’s a fun way to get everyone involved and at the end of the day she’ll have a door filled with special birthday messages from all her friends! Decorate her room// I always bring a few birthday banners and steamers back to school with me when I move in every school year. There are always so many birthdays on the hall and it’s nice not to have to run out to a store to buy all those supplies. It’s always fun to decorate her room when she’s in class with streamers, balloons, and birthday banners! Hang birthday posters everywhere // Head to the library and make a super cute birthday poster that you can print out in black in white. You can also include super funny/ embarrassing photos of her to make it even more funny! Print off over 50 copies and hang them all over your hall/ building and in places you know she’ll see during the day (I did this for my little during big little week and it was hilarious!)! Decorate her car// If she has a car on campus take window markers and decorate all over the windows wishing her happy birthday! Go crazy! Dinner with friends// Another great, easy, option is to go to her favorite restaurant with all her friends for dinner! We usually just send out a huge group text or even an email with all the details! Super easy and who doesn’t love food?! I would make sure to call ahead and see if the restaurant takes reservations! What do you do to make birthdays special? In high school or in college! I want to hear! Great post Shannon! Such fun birthday ideas! This year (my freshman year of college), my twin sister's roommates birthday was on move-in day so I helped my sister decorate the room and we made her roommate a DIY monogrammed lucite tray to match their room colors! We arrived early and bought some cupcakes from a local bakery and it was so much fun getting to know her and celebrating her big day! 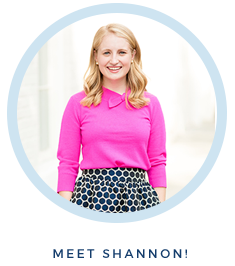 Check out my new blog! 3oakind.blogspot.com, I just did a fun spring shoes post! I remember my freshman year of college my roommate decorated my side of the room while I wasn't there, it made me feel so special! These are such great ideas! I'm a little sad about starting college in the fall because it means no more birthdays with my friends and family at home. I'm sure I'll have a good time with new friends, especially with these tips! Thanks for sharing them!